Welcome to the Chambers Garner Young Professionals, Crystal Walczak! 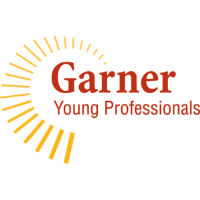 The Garner Young Professionals proudly welcomes Crystal Walczak as a new member! The mission behind GYP is to engage and empower young professionals to become future leaders by providing opportunities to connect, develop, and serve. A special membership tailored to teach to those new to the business industry professional development, networking skills, community involvement, and more. Welcome Crystal, we can't wait to see where you go from here!